Two weeks before the Tour de Helvellyn, Storm Desmond dramatically hit the Lake District. Just over a week before the race, the organisers Nav4 Adventure, gave the happy news that the 2015 Tour de Helvellyn would go ahead – albeit a bit of a grittier version. My journey started at Canary Wharf on the Friday afternoon. A cycle to Kings Cross, a train to Leeds and a drive to Askham, arriving just in time to register and set up camp in Askham Village Hall floor for the night. The 38 miles and over 3000m starts on the Saturday morning. You can choose when to set off which gives the start a really relaxed feel – no mad dash for the first gate! 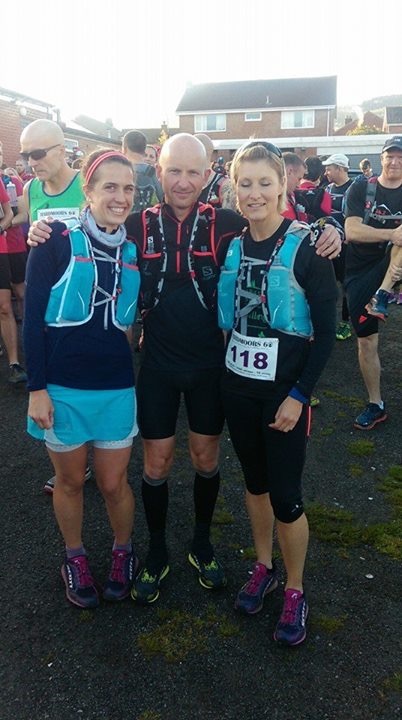 I’d had a really good run at the Hardmoors Roseberry Topping marathon (which turned out to be 30 miles!) 6 days before so I wasn’t expecting to feel very strong but was looking forward to a good wintery day out in the hills. Casper had decided to run with me too which made the day even better! The sun was just rising as we set off from Askham. As we battled over Barton Fell to Howtown it was a hood up, head down, left, right, left, right few miles. The rain was hammering down and the wind was relentless. Heading into Howtown we saw the first signs of Storm Desmond – landslides had taken out footpaths and even drystone walls. Climbing up to Boardale Hause there were “waterfalls” that definitely weren’t there when I reccied the route a few weeks ago. I loved the super fast decent down to checkpoint 2, Side Farm. It was heaving with runners in the barn, some in and out in a dash whilst others took their time over warm tea and savoury nibbles. After a small diversion to avoid some flooding it was the climb out the back of Glenridding to Greenside and Sticks Pass. I was about 12 miles in now and my legs felt a little heavy but really not too bad. Greenside was a fun checkpoint, being greeted by the very smiley Stuart and Jill of Nav4. Then it was the gentle ascent to sticks pass. Having fun at Greenside Checkpoint. When I’d reccied the route 3 weeks before, the gusts were at 70mph up here and I’d had to run over the top backwards as the wind and rain was too painful on my face. Today was windy and rainy but significantly less wild, so I enjoyed running down forwards, making the decent much easier! A little way along the Thirlmere valley was checkpoint 4 and my favourite checkpoint snack, cheese! I grabbed a big handful and was on my way. Then we began to the see more devastation of the stormy weather – where there had been bridges a few weeks ago there were now huge landslides, it brought tears to my eyes to see the power the water had had. The bridge at Dunmail was gone too so we were given the choice to run along the road for a few hundred metres or to keep high and cross the swollen stream, which had become rather a raging torrent. A guy had just crossed who kindly pointed out a good place to cross. The whole race had this team spirit atmosphere, it was lovely. As I stepped in, the water was up to my waist! As we ascended Raise Beck I shouted through the gales back to Casper “I’m having so much fun” – as I really was! Reaching Grisedale Tarn and the westerly wind I’d been looking forward to for the past 4.5 hours, you couldn’t take a step forward without being propelled a further 50 percent than intended! I kept to my strategy of it is quicker to descend faster with the greater risk of falling over than to run slower. I fell lots, 2 times hard and a few lighter bounces on the ground. Happy to find more cheese at Side Farm checkpoint. I arrived into the penultimate checkpoint (which had also been checkpoint 2) at 6 hours. It took 2 hours to arrive there earlier on so I knew if I got a move on I’d make it back in 8 hours! (which was my secret hope!). After another big handful of cheese I was on the home straight and back over to Howtown and the final ascent. I felt really rather strong on this stretch, passing quite a few people. It was lovely to get cheered on by Kim Collison who was out running in the opposite direction. On reaching the top of the final ascent I could see Casper waiting at the final gate. We were on 7.37 (so I had 23 minutes to do just over a mile, easy!). I hurtled down the hill yelling “we are going to make it back in 8 hours!”. I was very excited! Flying down the last hill. I loved every part of the run, but a special little moment, at that gate, just over a mile from the finish, when Casper asked me TO MARRY HIM!!! was definitely my favourite! I said of course and then sprinted off down the hill to the finish. We finished together in 7 hours 46 minutes. 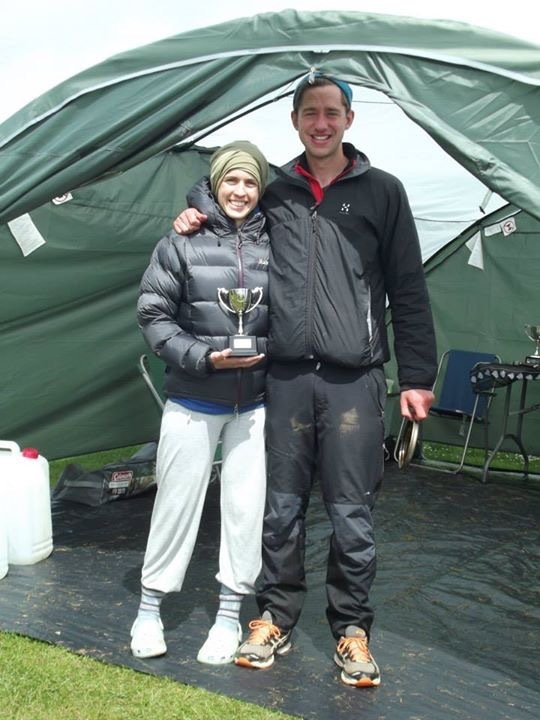 Not only had we made it back within 8 hours, I’d found my new favourite race and received a proposal of marriage but I’d finished 2nd lady too! I was one very happy girl. 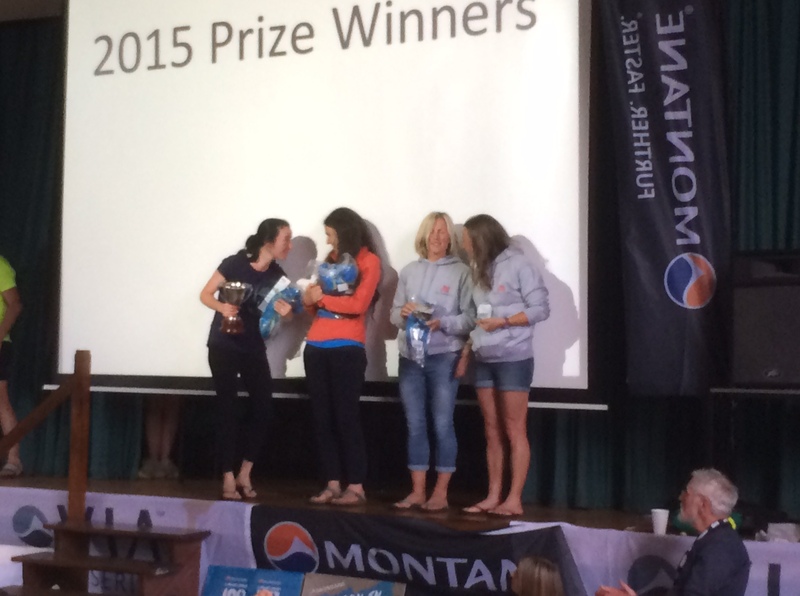 The Tour de Helvellyn is a fantastic event. The guys from Nav4 Adventure have it spot on. Everything was just right; staying in the village hall, the humbleness, the checking we were all probably equipped for being on the hills, the marshals, the food, the race momentum coaster, I could go on and on. Thank you for a such a good day out! The Lake District is most definitely open! This entry was posted in Race stories on December 26, 2015 by Ultra_Betty. 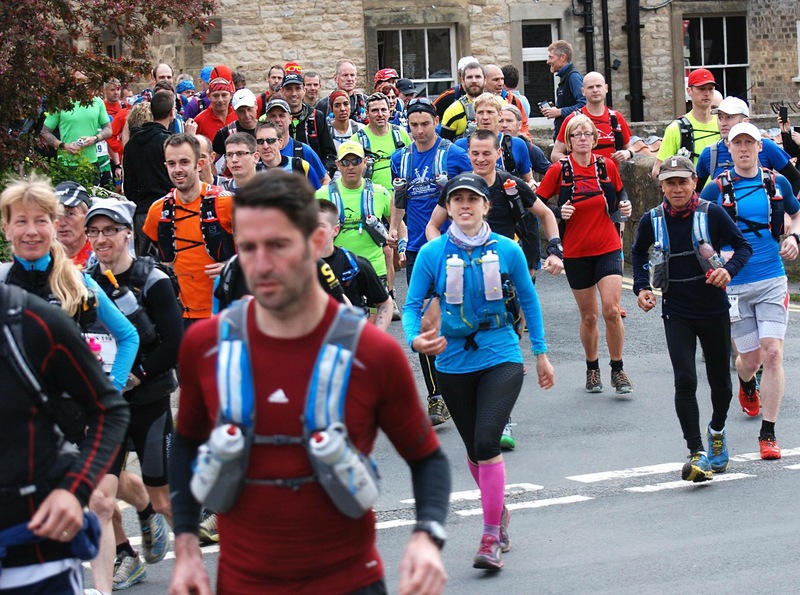 I can’t remember being as nervous before a race than at the start of the Goathland marathon, a few weeks ago – quite silly given the runs I’ve done in the last 2 years. But seven weeks before I’d had such a horrible time on the Hardmoors 60 and it had made me really quite sad. Probably more sad than I had realised and now I was terrified of another disaster, despite it being a relatively short race of just 28 miles. 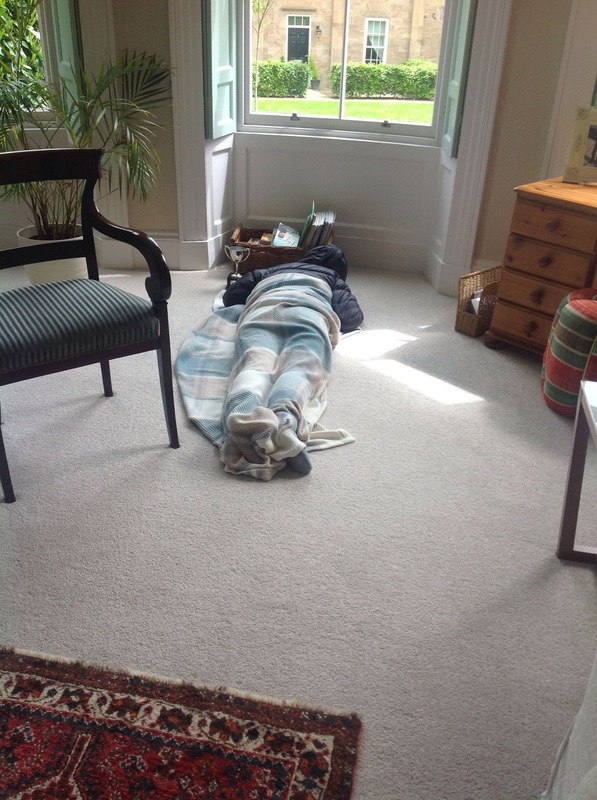 Before the race brief a few people asked how I was after the Hardmoors 60. They were being so nice but I was unfortunately being reminded of what I has spent 7 weeks trying to forget. I was stupidly nervous as we lined up to start. Kim (England) had kindly showed me the route a few weeks ago. It had taken 5 hours 25 minutes and we hadn’t really stopped (with the exception of a short attempted, yet failed, sheep rescue stop). I didn’t think about how long it take. ALL I wanted, all I REALLY wanted was to get to the end without that horrible stomach pain. Then I panicked – how fast should I run? How slow should I run? Yikes we were off. As the speedy men sped off into the distance I decided to focus my mind on going steady and ignoring what anyone else was doing. As I finished the pretty loop around Mallyan Spout falls coming almost back into the village of Goathland, I had averaged 10 minute miles, which given the climb up from the stream, I was rather pleased with. So there materialised my little plan – I would try to keep up the 10 minute mile pace for the next 26 miles. From there it was up on to the moor and a few miles to reach Simon Howe. The run off Simon Howe was fantastic – I hurtled down the big boggy trod for a least a mile. Before long I was at checkpoint 3. Here the ladies told me I was the first girl and 10th overall which gave me a little boost. I was still averaging 10 minute miles but I knew there were a few hills over the next few miles. I ticked the miles off in my head one by one and reached the 12 mile mark just before the average 10 minute miles speed. After some lovely words of encouragement I was on my way to the Hole of Horcum and 15 miles. Just before I arrived at the Hole of Horcum I was asked by a marshal if “I was in the race of just out for a run” which I found quite amusing. 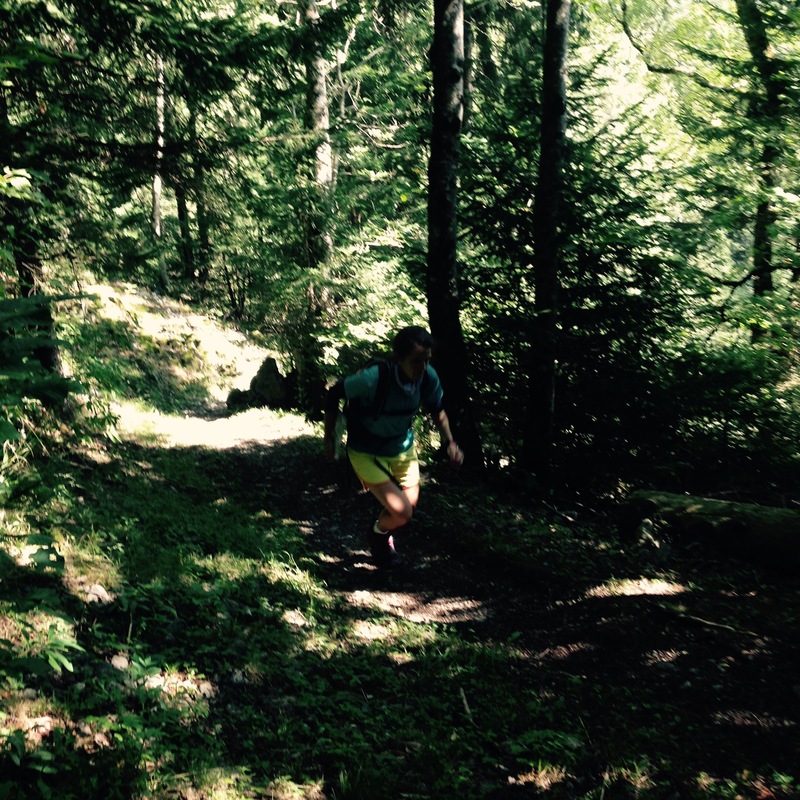 Twenty miles in and I was feeling fantastic – not so much as a flicker of pain in my stomach. It almost felt wrong, as I hadn’t experienced running over 3 hours pain free for what felt like such a long time. Just before the penultimate checkpoint there was a stream to cross. I judged the crossing wrong and ended up hip deep in very cold, but also very clean water. I squelched in to the check point. It’s a long drag up to the final checkpoint and the second visit of the day to Simon Howe. I was really pleased to keep running, albeit a little slower, to the top of the climb. As the marshal checked me off his list, they pointed out that 4th and 5th overall could just be seen in the distance. With only 3 miles to go it would be hard to catch them but I was still going to try. 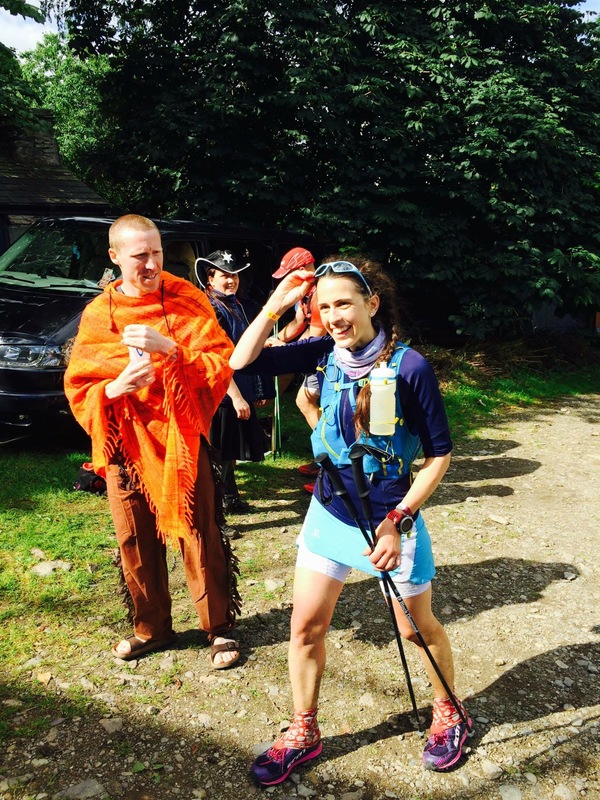 I arrived back at the village hall 1st lady and 6th overall, absolutely beaming – with happiness but mainly relief, that maybe, just maybe the worst of the tummy troubles were over. This entry was posted in Race stories on November 27, 2015 by Ultra_Betty. All you need is love, right? Love of running, love of the trails, love of being outside, maybe even the love of the physical pain, to get you through a long race. Always listen to your heart as that’s what gives you the true strength to get you to the end of a long run. That is what I thought mattered. But what happens when your sensible head breaks your heart? 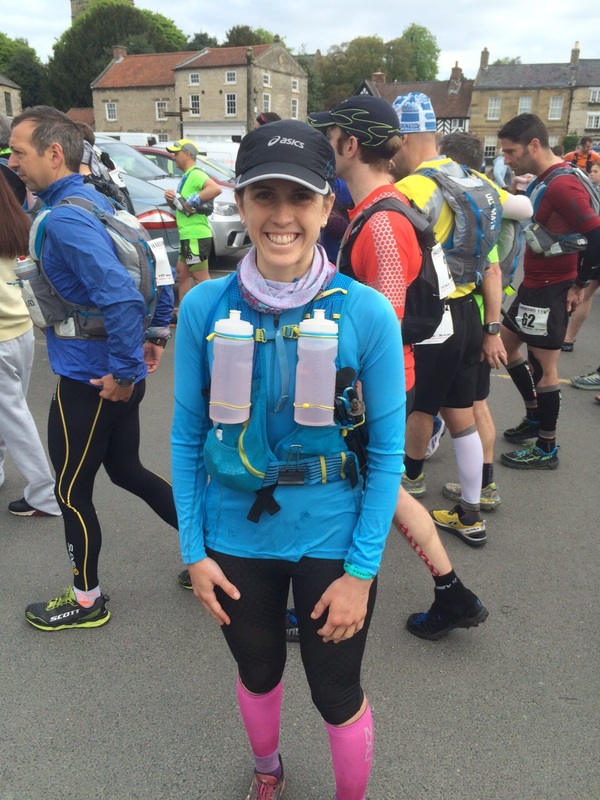 I felt fantastic on the morning of my third Hardmoors 60. I felt fit, rested and raring to go. 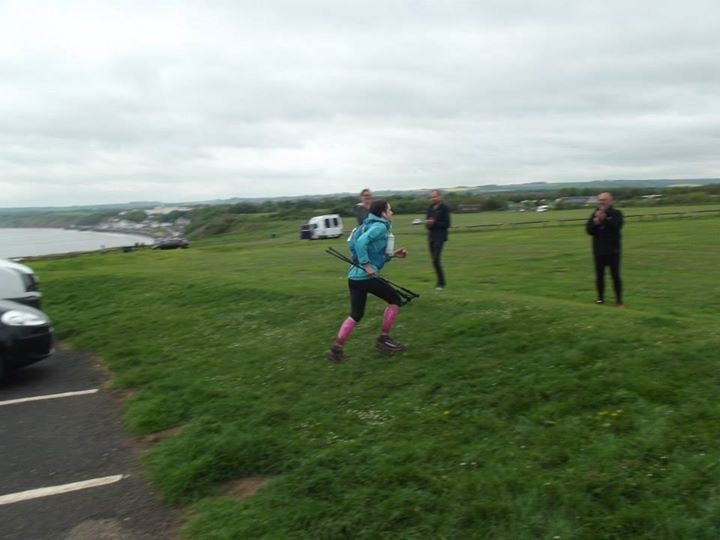 I never dreamt for a moment that I would not make it to Filey by foot – I’d never quit anything and most definitely not a race. My goal was to beat my 11.39 time from last year, with a hope of making it in 11 hours – I knew I was strong enough to do it. Me, Tom and Emma raring to go. The first 10 miles to Saltburn were quite fast, but comfortable. I put my sunglasses on at Saltburn, which to me is the “get focused and and settle into the run” time. It was warm, but I don’t mind warm. Weather doesn’t really bother me when I run – I seem to adapt well. I soon passed Skinninggrove, Boubly and Staithes, 16 miles in. It was lovely to see Jamie and Jo popping up along the way who were supporting Tom to his Grand Slam win. I felt great and was having a super time in the sunshine. Having fun in the sunshine. Then it happened. That all too familiar pain, deep in my stomach. It came as quite a surprise really – it normally starts much later on in a run, so it’s not as concerning to battle on through the pain until the end. I knew it would pass, so I slowed down a bit and had a few wild bathroom stops in the miles leading into Runswick. The pain was taking longer to subside than usual. 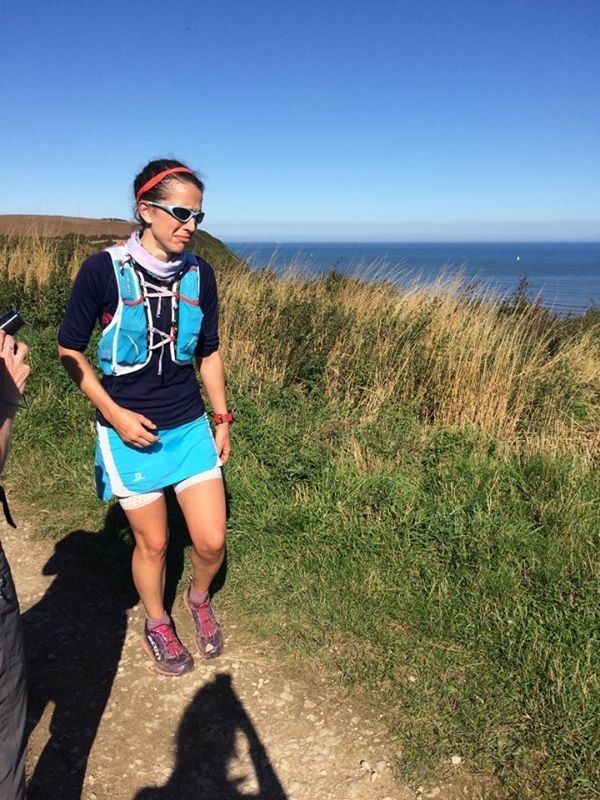 As I approached Runswick, Sadie Pattison and a friend were spectating and that’s when I couldn’t not cry with the pain any longer. As soon as I saw them my tears were pouring with the pain. They were so lovely, offering water and other goodies. Sadie even had a “cooling spray” she so kindly let me use. The sadness of when it all went wrong. I fought back the tears at Runswick checkpoint and headed off down the beach. It felt like an absolute age to get to Sandsend. Jo gave me some salt tablets to try and settle my stomach but it was no good, any fluid or food was coming straight back up or out and the agony in my stomach was becoming unbearable. I was really worried about the 3 miles on the road after Sandsend before getting back on the trail because finding a wild bathroom stop would be somewhat challenging! Jayson Cavill tried to save me too with some crisps on the way to Whitby. Then I rang my sister, Sarah, and Casper too for some encouragement. But they both gave me the answer I didn’t want. To stop. I thought they were being defeatist and unreasonable to suggest that I stop. This hadn’t even crossed my mind. But then I realised, saying the words out loud to them, of the pain, that that was what I should do – well what my sensible head was telling me to do. But I couldn’t – I wasn’t a quitter. So I rang RD Jon – I knew Jon would say the right things to me. I felt like such a drama queen ringing him with such a non-emergency. But I was desperate. So desperate for someone to tell that continuing was the RIGHT thing to do. But my head knew it wasn’t. I just couldn’t imagine being able to continue as I walked from Sandsend to Saltwick Bay, almost keeled over in agony, where I made that horrible decision to quit. I would quit the Hardmoors 60 at the halfway point of 31 miles, at Saltwick Bay. When I eventually got there, despite the pain, I couldn’t do it. I just couldn’t quit. So there I was, having past Saltwick Bay, yet still miles from Robin Hood’s Bay, huddled in a ball on the cliffside path, when it dawned on me how utterly ridiculous I was being. This wasn’t a sore muscle or dehydration, this was internal pain lasting hours and hours and I knew deep inside that I could actually cause myself long term damage. What seemed like hours later, I eventually walked into Robin Hood’s Bay. Jo and Jamie tried to save me (again!) with fizzy water and Shelli Gordon’s discarded strawberries. Although I knew I HAD to stop I found myself walking away from Robin Hood’s Bay. My heart, my heart that loves running wouldn’t stop. I knew I had enough time to walk it all the way to Filey from here. I wouldn’t accept it was over – and so I walked to Ravenscar. It was here, at 41 miles , 24 miles from when the agony started, that I eventually listened to my sensible head and became a quitter. I didn’t want to quit, I really didn’t, but I knew it was the right thing to do. Stopping was actually the harder thing to do than continuing. I know I could have been a martyr and walked all the way to the end, still within cutoff, to claim my second Grand Slam completion. But what long term damage might I have done? For me, quitting was most definitely the braver thing to do. If you have never quit I know how you feel (you’re thinking “why didn’t she just walk to the end, that’s what I would do”) because you never believe you are a quitter until you are forced by your sensible head to become one. No ones tells you what quitting feels like – the sense of failure, the embarrassment, even the fear of running again. But all those will eventually go away and you just have to get over it. And quitting actually makes you really grateful – grateful for all those happy runs. Two weeks later, my stomach is still a little tender but I have had happy pain free runs and more importantly I have now made peace with my first DNF. So whatever your one reason is to not run, find a way to not let it stop you running because actually, there are so many more reasons why you do run. A week later and back to happy running. This entry was posted in Race stories on October 7, 2015 by Ultra_Betty. It’s all too easy to run the same races year after year. 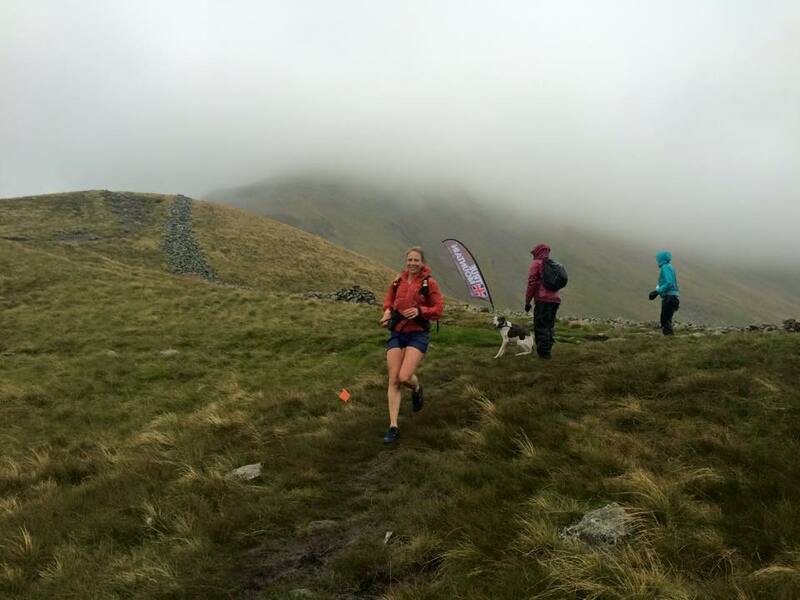 I’d become a bit of a stickler for this – so in my quest for new races I stumbled across the True Mountain Lakes Sky Ultra, part of the UK Skyrunning series. 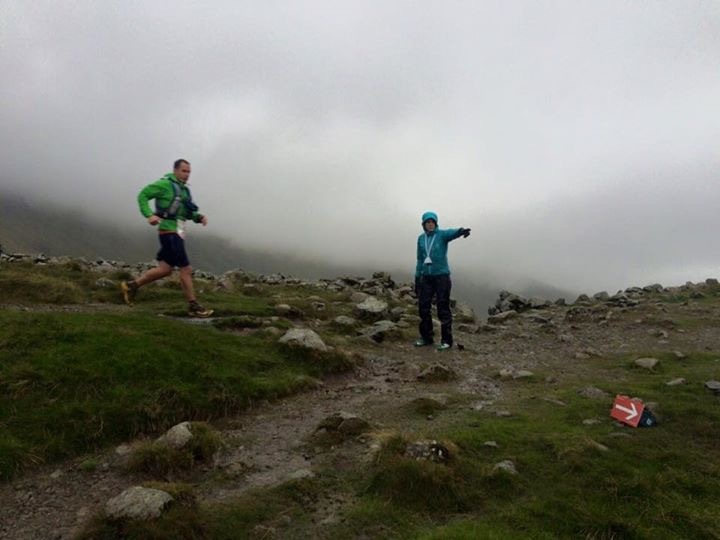 I’d heard about Skyrunning – another branded trail race series right? Wrong. 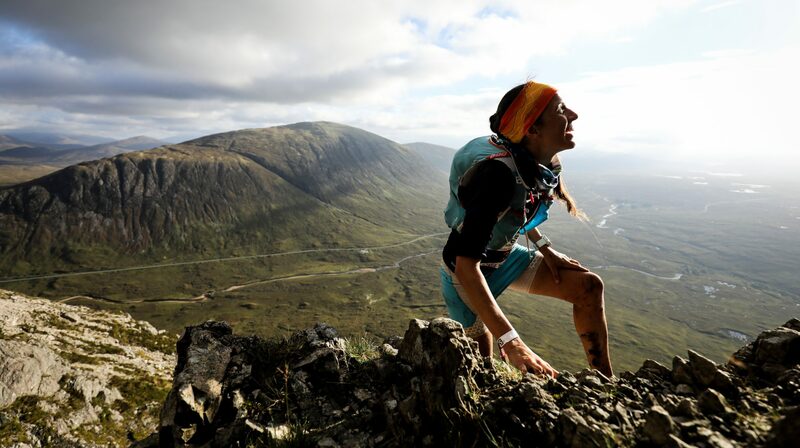 Skyrunning is not trail running – it’s mountain running. This looked like a true adventure and I wanted to see what it was all about. So I signed up as a marshal. 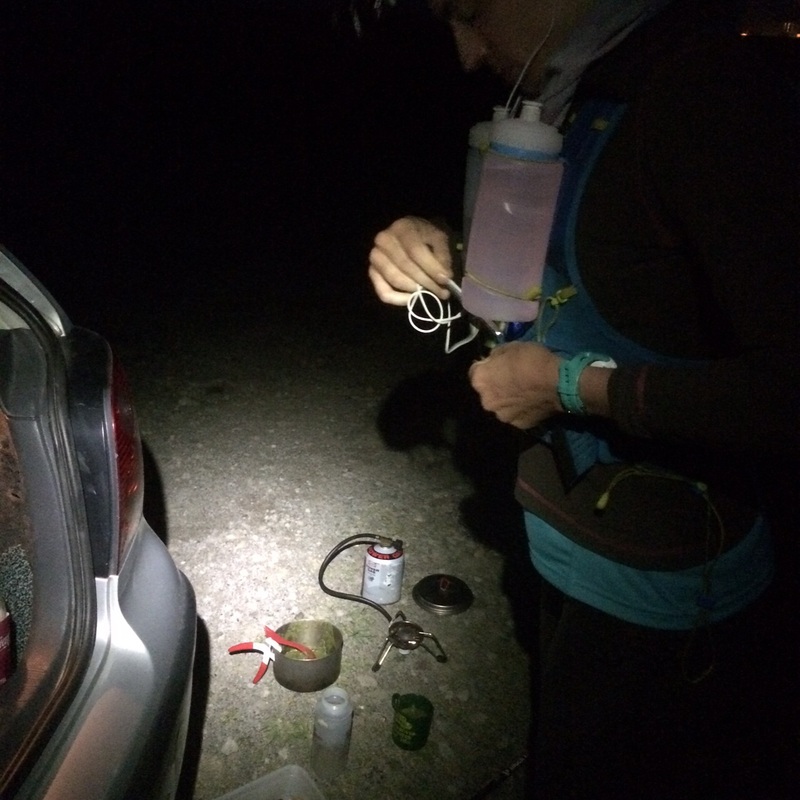 I arrived in Ambleside the night before the race – five hours after plan, but with just enough light to pitch my tent before a starlit dinner for one with a beautiful mountain view. Race HQ was the University of Cumbria campus in Ambleside, where the marshals convened for their briefing. I met race directors Andrew and Charlie for the first time and team of Marshalls. There was a sense of concern at Race HQ. Not panic, there was never panic, just concern. The weather forecast was dire. Usually you can find one forecast with a little optimism. Not this evening. They all said wind and rain and lots of it. After the safety briefing I was paired with another Katie (who I’ll call Katie 2). We were allocated Grisedale Tarn/CP1. I was given a radio, a dipper box and sent on my way to get some sleep. It was 11.30pm, meaning 5 hours until my 4.30am alarm. Like Christmas morning I woke before my alarm with the very familiar gushing of Lakeland rain fighting to get inside my tent. After the 5.30am marshal breakfast at Patterdale (with fresh coffee!) Katie 2 and I headed up the hill for the few mile walk to CP1. It was wet. Really wet. This really made me realise the importance of decent kit. My Arc’teryx waterproof trousers and Halglofs waterproof trousers performed so well. They had never properly been put through the wet test. They passed. Grisedale Hause was wet AND windy. Just as we arrived so did a guy from sponsors True Mountain with his flag and camera. We didn’t have long to wait before out of the clag on the top of Fairfield came a distant flash of red. That flash of red dropped off Fairfield like a whippet into our checkpoint. It was Jim Mann in shorts and T-shirt, which just made me feel cold. Next came Erik (the ultimate winner) and Gareth (2nd) – neither of whom I knew of at the time. Sarah Ridgeway got an extra loud ring of my cowbell – just because she was the leading lady and was looking so happy! 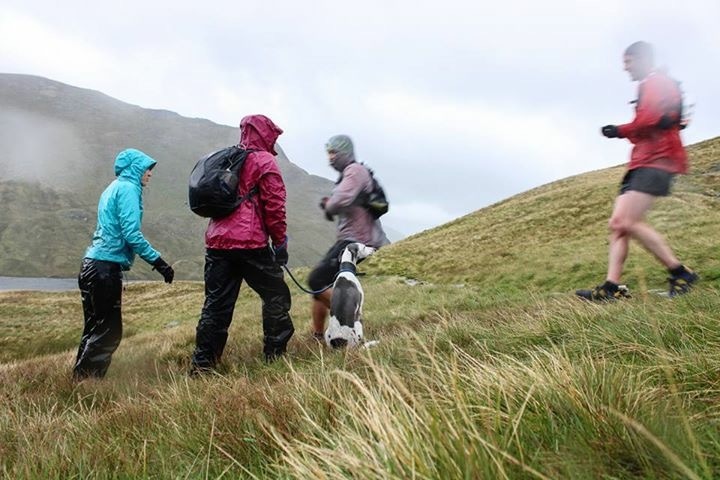 Katie 2 and her dog headed back down to Patterdale – a very sensible idea given the amount they were both shaking. I even hugged the dog. I have a ridiculous and irrational fear of dogs. Hugging a dog is a big deal (for me). All the runners were though within about an hour. I waited and waited for the sweeper, Howard. I took shelter in a perfectly placed sheep fold for what seemed like an age. Turns out it was only 30 minutes, until Howard, with a LOT of flags appeared out the clag. I was so happy to get moving. I collected the flags and signage from Grisedale Tarn, up “the wall” to Dollywaggon Pike, Helvellyn and Nethermost. This was probably my favourite part of the day. The perfectly placed flags guided me so I could just enjoy having what seemed like (visibility was less than 10 meters) the hills all to myself. Before descending Swirral Edge I tagged Colin, who would finish the sweeping to CP2. Swirral Edge was so slippery. I wondered how treacherous the ascent up Striding Edge would be. Arriving back down into Patterdale felt a bit like an oasis in a dessert. The lovely cooking ladies greeted me with suspiciously looking pale green yet deliciously tasting soup. Many of the runners looked a little bewildered. 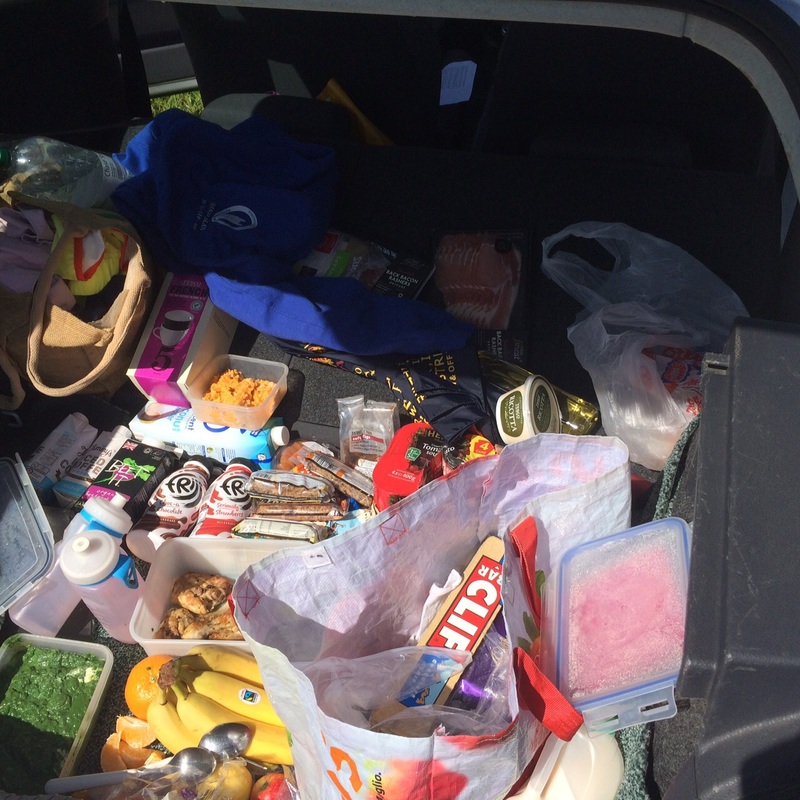 They stocked up on Trek Bars and Striptsnacks before heading back out to the unknown. RD Andrew was control central command here. I eagerly awaited my next assignment. This was to be at the finish – to dip the runners in as they completed this mammoth run. The winner, Erik came through the finish just after 2.15pm to the great echo of Cowbells and cheers! One by one each of the runners were greeted by the finishing cowbells. With the exception of a 10 minute re-fuelling break I stood on the finish line for nearly 7 hours – each minute of which I loved. As a runner to have the opportunity to see the emotion of each finisher was just so wonderful. The sponsors were all great too. They were ever present all weekend. 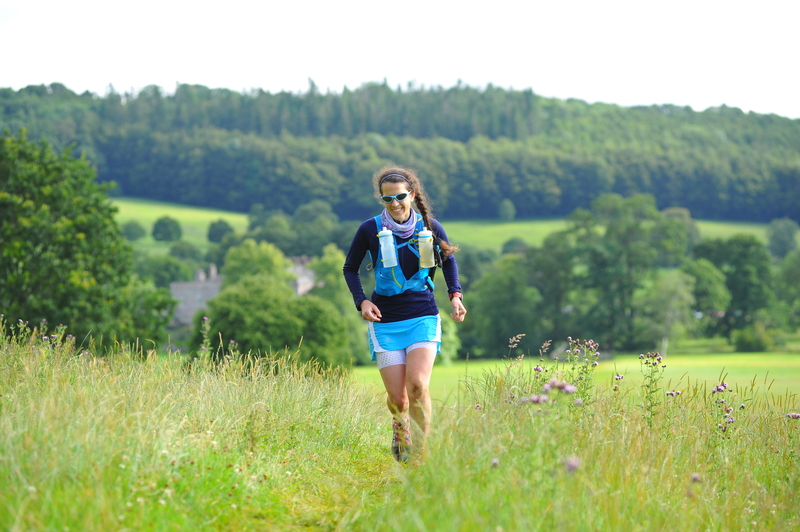 On the hills, at the check points and at the finish – an element of sponsorship that is often missing. The event organisation and spirit was spot on. When I run the Lakes Sky Ultra I will be reassured in the knowledge that I am in very safe hands. This entry was posted in More adventures and tagged lakesskyultra, mountainrunning, skyrunning on September 20, 2015 by Ultra_Betty. 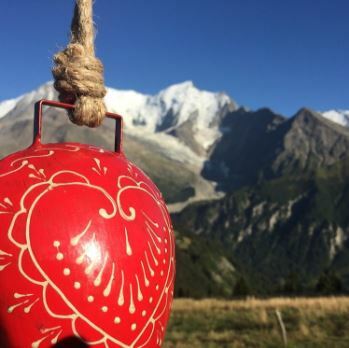 The Ultra Trail du Mont Blanc or the UTMB as its lovingly known is often spoken of being THE ultra-adventure. 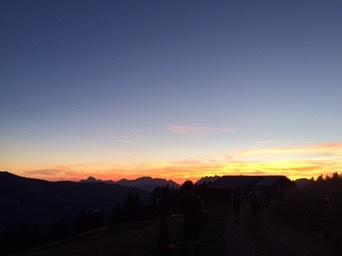 A few weeks ago I didn’t understand what the UTMB really meant to people – I didn’t see the big appeal – the tales of people traffic jams and the hard packed tracks were not exciting. Finding myself, purely by coincidence, in the Chamonix Valley during the week leading up to the UTMB I found myself wondering more and more about the possible adventures through the mountains. Exploring the western side of the Mont Blanc massif in the days leading up to the race I found my spectating spot for the Friday night. At 5pm on race night I had really warm vertical kilometre hike up to 1800m – to my selected spot at the top of the Col de Voza climb. This was the first proper climb for the runners so I expected they would have spread out a little and to be going slow enough for me to catch the names on their race numbers to cheer then on. I’d done a bit of entry list stalking and had my spotting list ready. Something magical happened as I waited. 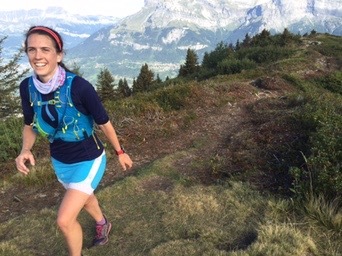 As the last of the sunshine was still glistening on the peak of Mont Blanc and the speedy French leader glided by, the mountain came alive – the trails came alive and I felt part of this mountain race – yet so calm and peaceful all the same. One by one the top runners began passing. 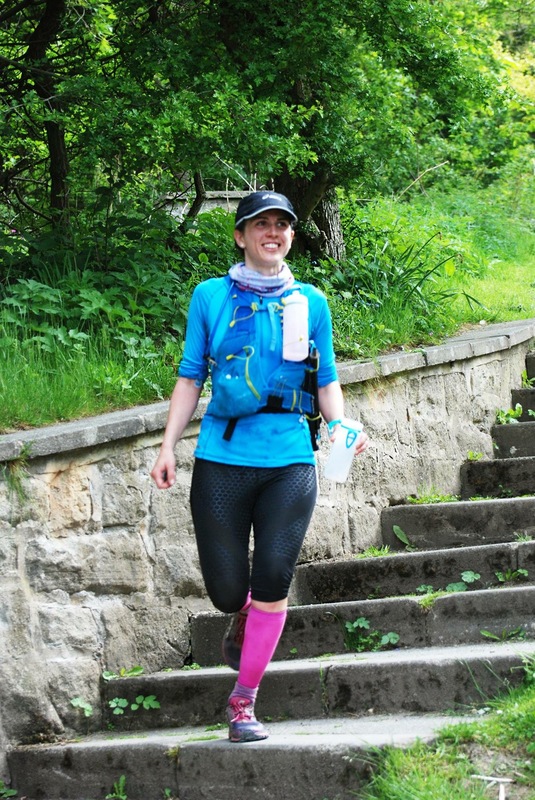 I had a little tingle of my cowbell – the runners loved it! Then I was away, ringing my bell and calling out “alle alle” as the enduring 2,000+ runners ran, jogged then walked past. 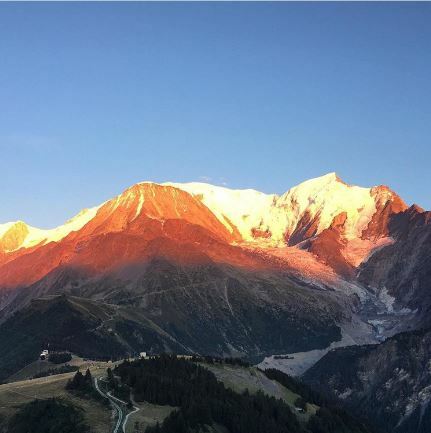 The sun was nearly set by now, turning Mont Blanc a beautiful crimson and I just didn’t want to leave. I wanted to stay up there all night. I ran with the runners all the way down to Montivon, I just wanted to be part of it, as the sun disappeared over the horizon. As I arrived back at my tent, across the valley was the flickering light of head torches and the feint ringing of cowbells. I sat in the light of the full moon quite overwhelmed. It seemed I had just fallen in love. So if you get the opportunity to be part of the UTMB, as a runner or a spectator, be warned: you may just find yourself falling in love. This entry was posted in More adventures on September 20, 2015 by Ultra_Betty. By the morning of race day I couldn’t quite contain my excitement. I just love this race and I was ready to take on that sub 30! I felt a bit of an “all the gear no idea” plonker in the starting pen wearing a skort and gaiters, but it is a feet first game in the Lakeland 100. 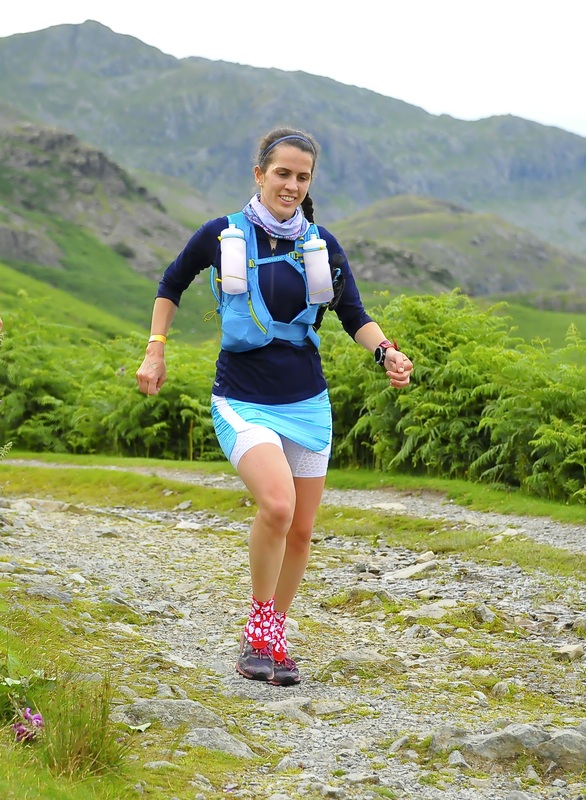 If your feet get in a mess too early it’s a game changer, oh and Salomon only do female s-lab shorts with a skirt! 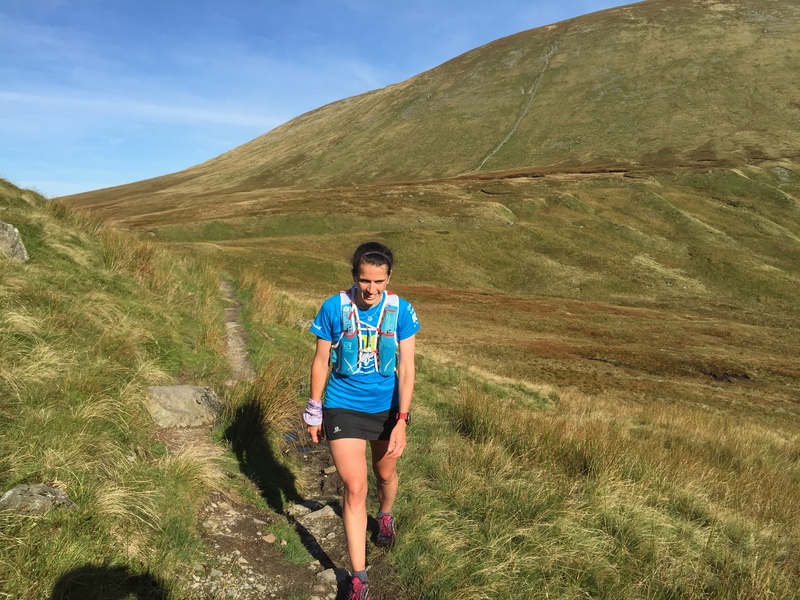 Walna Scar – 3 miles. As expected it was all pretty uneventful for the first few hours. I bumped into Jamie Hauxwell at Wasdale and we headed out into the night. I thoroughly enjoyed the next 8 hours. The climb up Black Sail Pass went by so quickly and the decent went well too by sticking to the “listen out for the stream” rule. One of my favourite moments was Blencathra checkpoint. Little Dave had put on a marvellous spread – forget the cake, I was stocking up on the potatoes and cheese! Jamie and I were like kids in a sweet shop! The first bad patch came a few miles before Dockray when I started feeling really nauseous. I wasn’t really surprised. I had a feeling I was going to have a dodgy stomach. In fact I was surprised I had lasted this long. I created an alternative type of waterfall at Aira Force and I started to feel better. I had picked up quite a bit by the time I arrived at Dalemain just after schedule about 8.15am. Last year I stayed too long here so I was glad to be fed and cleaned in 15 minutes. I said goodbye to Jamie here which made me a little sad having spent the last 10 hours together. But he was looking mighty strong and I knew he had a mega 2nd half in him. Now I could start to think about Howtown. Chia Charge Cowboy Tim Taylor was manning this along with Lisa, Casper and Jane and it was wonderful to get encouragement from familiar faces. As much as a “go Katie” is encouraging, you can’t beat getting a cheer and a hug from friends. I naughtily sat down here and found it really hard to leave! I had been looking forward to it for so long, then it was over in a flash! Arriving at Howtown. 67 miles. The climb up Fusedale was the first time I was alone and I took the opportunity to take it all in. I was beaming as I climbed. I was just so happy. Along Hawswater I had one of those moments after a full face plant where you keep still for a few moments and then have a little wiggle of each limb. Everything was in still in one piece. Phew. I kept trying to work out when the 50s would start to pass. The first guy flew pass just as I came into Kentmere. 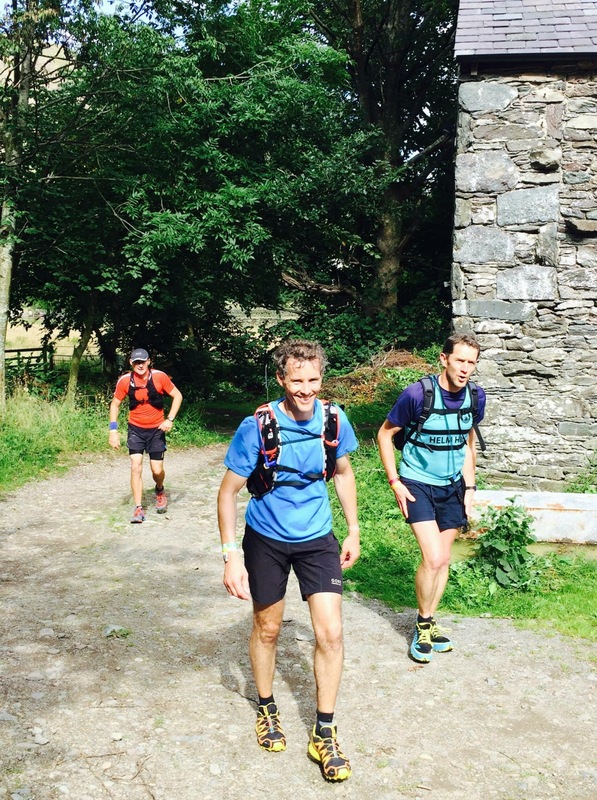 Whilst I was at Kentmere Jayson Cavill (the 50 winner) came through. I said hello but was unsure whether to go in for the hug as didn’t want to interrupt his focus. But then I thought hey, I’ve done 82 miles and been out for 22 hours, he was getting a hug! Turns out it gave him a boost too. It’s probably what gave him the win! More super hugs came from Dennis and John Steele at Troutbeck. The trudge from Ambleside was hard. I was struggling to eat or drink anything and close to the death march. My race number had fallen off about 15 hours ago so anyone calling my name was someone I actually knew. First it was Tony Holland, then Kim England (with another massive hug!). Had Kim arrived 30 seconds earlier she would have been greeted to my bare booty rustling around in the ferns! And then came Garry Scott too – who reassured me the 3rd lady was not in catching distance, although I didn’t believe him at the time, sorry Garry! In 2014 as the second night fell I has all sorts of crazy hallucinations including animals of all varieties. I wasn’t expecting them this year as I was back within 30 minutes of nightfall. But the hallucinations still came between Langdale and Tilberthwaite. Happy little crabs scuttling everywhere. As I climbed the stairway to heaven out of Tilberthwaite I started to wonder if I really did have a chance of coming in 2nd Lady. Just before the final decent the second night began. Then a fellow 100er came sailing past. Call me competitive but I had a new target, I had to catch him. I steamed down that rocky descent in the dark and down the track to Coniston and was getting faster and faster I couldn’t believe where the energy was coming from! I caught him (Sorry Yannick!) I made it to be greeted with the final and most important hug from Cowboy Casper. There was a little wobble but I stayed on my feet. Then the wonderful marshal escorting me in to announce “2nd lady in the 100”. It was real. I can’t finish this story without mentioning who I have named my “3 Musketeers” – Adam (Wilson), Andrew (Cox) and Simon (Buxton). I ran on and off with these guys for around 20 hours. They were fantastic company and play a significant part in my memory of the race. The Musketeers – Simon, Adam & Andrew. This entry was posted in Race stories on July 31, 2015 by Ultra_Betty. 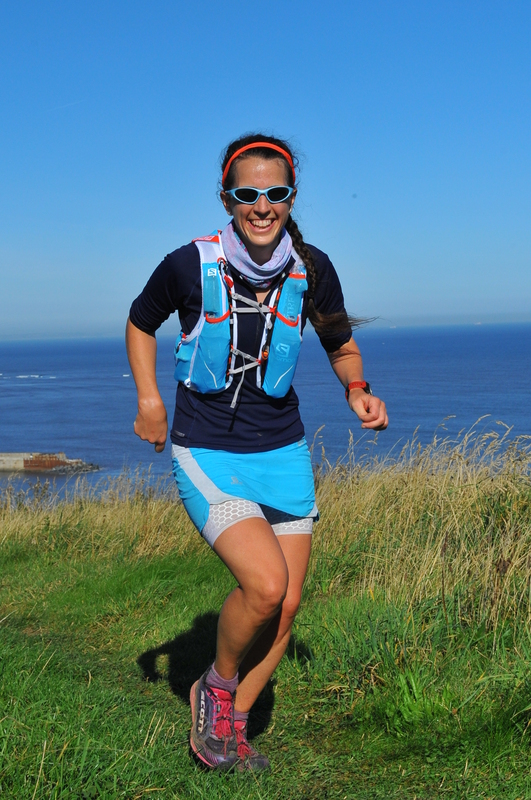 The Hardmoors 110 is a 111 mile run along the Cleveland Way from Helmsley to Filey. 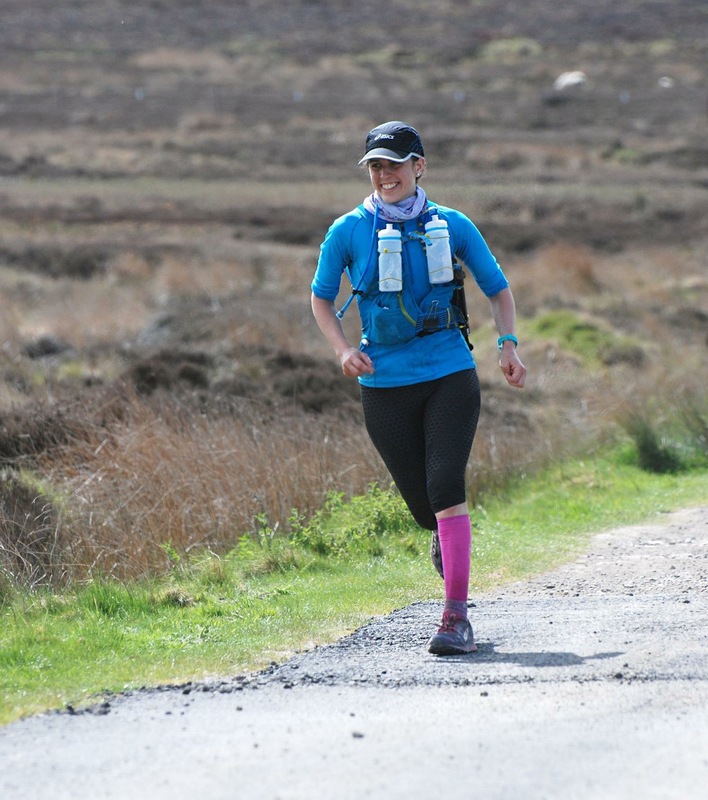 My journey to the Hardmoors 110 began on Sunday 22nd March – the day after the Hardmoors 55. Feeling pretty disappointed, I decided a new type of training was needed. My typical training for the last year, and particularly the winter months was a daily 20 mile flat round trip cycle to work across central London and one run at the weekend – usually between 20-30 miles. The early winter months of 2015 were a time of reflection for me following the sad death of my wonderful Granddad Barkworth, Gordon, in December and just weeks later, my beautiful Grandma Barkworth, Betty. Spending those cold and dark winter days running across the snow topped Lakes, Yorkshire Dales and North York Moors alone, seeing barely a sole all day, I found solace. I was at peace. Fast forward 9 weeks and I was pretty excited to be on that start line (having had a lingering chest injection and sickness virus in the last 7 days!). I honestly believe unless an illness makes you physically incapable of getting to a start line once you start it is completely irrelevant. I really love the start of the Hardmoors races. It is such a happy atmosphere. Although I could sense a little fear of the unknown in the 110 registration room. I felt ready. As we toed the start line I saw Kim and Heather. We had a very brief “hello and good luck” before we were off! I was soon at Osmotherley square corner and on my way from Osmotherley to Lord Stones. I was actually looking forward to the 3 sisters as it was a beautiful clear day – the views on a clear day are just wonderful up there. I really did take the opportunity to take a good look around and appreciate the beauty. Down into the Clay Bank checkpoint and there came my favourite moment of the day so far –smiley waving big C! (The plan was for Casper to first meet me at Saltburn, so to see him here was such a wonderful surprise!) I was so happy to see him – not just because I had run out of chicken and apple sauce sandwiches! On nearing the top of Clay Bank I saw 2 yellow t-shirts which I thought might be Sarah Booth and Andy Norman. It was. We had a brief chat, a few words of encouragement, and I was on my way. I really started to settle in the run on the trail over to Blowath and into Kildale. Casper was there again at Kildale. This was the first time I saw the true magnificence of the spread he had put on. I’m talking spinach with ricotta, chicken thighs and drumsticks, bananas, sweet potato, soup, beetroot juice, coconut water, milkshake, coke, the list goes on and on. And it worked! – I arrived at Sandsend at 1pm and had 2 yummy cups of sugary tea from the Langstones. Somewhere between Whitby and Robin Hood’s bay I turned my head torch off. To be out on those cliffs, completely alone, without a sole in sight, as the sun rose out from the North Sea horizon was just magical. I could have stayed out in that moment forever. Like many moments along the way I overwhelmed with emotion. Once I got to Ravenscar I knew I was on the home straight! Although just about everything seemed crank up a notch pain wise just after Hayburn Wyke. I was really pushing now. I was starting to completely crash when I got to Burniston (a couple of miles north of Scarborough). I decided it was time start on the magic caffeine gels. I emptied my pockets of nuts and sandwiches and stuffed them with gels. It was wasn’t really until just before Filey Brigg I realised what time it was. And then there it was. The BRIGG. Those Hardmoors flags. And The FINISH. 26 hours and 33 minutes. A PB on last year by 4 hours and 6 minutes! I could not believe it! I was and I am one very happy girl! Apparently I was saying things like “don’t ever let me run that race again” and “right now I never feel like running again”. Generous and wonderful picture credits: Ann Brown, Louise Luna Galvin, Casper Kaars Sijpesteijn, Jon Steele. This entry was posted in Race stories on May 28, 2015 by Ultra_Betty.